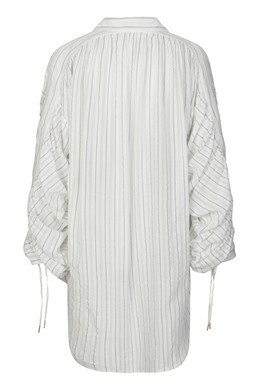 Tunic with long, wide sleeves. 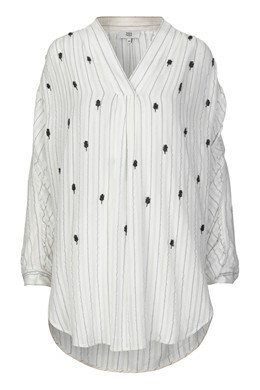 Tunic with V-neckline and long wide sleeves that have buttons and tie fastening at the cuffs. The tunic features decorative beading at the front and has a loose shape with slits at the sides.